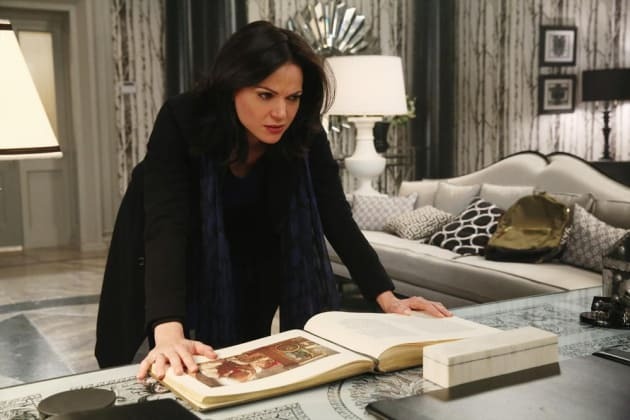 Regina is determined to find out who is the mysterious author of the magic book so she can change her story. Once Upon a Time Season 4 Episode 14: "Unforgiven"
Let me be clear, ladies. If you bring up my former sins around my son again, you'll find yourselves across that town line faster than you can say costume jewelry. You know if that old bag was still a wolf I'd turn her into a coat for my collection. Permalink: You know if that old bag was still a wolf I'd turn her into a coat for my collection. Once Upon a Time Season 4 Episode 14: Full Episode Live!